This artisan brand was started by Lisa Basso, who has over two decades of professional experience and knowledge in the Aromatherapy industry and went on to develop the Inner Senses range which is hand-crafted and made in small batches to ensure freshness. The oils are about 92% – 98% organic (depending on the product) and 100% natural and comes in beautiful luxe dark glass bottles (there was a packaging chance happening a while ago). The range expanded over time and now includes body oils, face oils, mama and baby oils, all available as single products or in beautifully curated gift boxes. I have used a few of the body oils to date and this is exactly what I’ll talk about today. Stay tuned for more reviews! Inner Senses offers powerful (and great smelling) range of facial oils, body oils, carrier oils, essential oils & maternity and baby range formed of purely plant based ingredients. 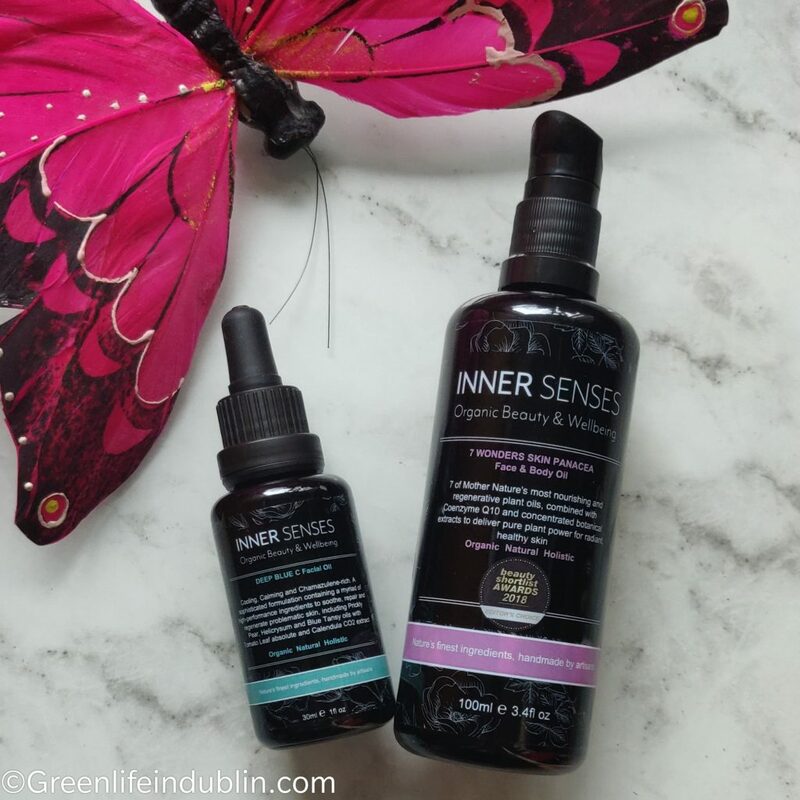 Inner Senses wants to take you on a journey of natural health & wellbeing through its lovingly blended ingredients to soothe, nourish & revitalise you. Lisa takes great care to select only the best ingredients there is (organic where possible) and this does reflect in the quality of her products. She is sourcing from only well established, reputable suppliers who are members of the Aromatherapy Trade Council, which goes some way towards guaranteeing the quality and purity of the product. And only purchases ingredients with full safety data sheets. Quality, purity, sustainability and fair trade are keys for her trade, and I really respect that. In short amount of time the brand has started collecting awards, so don’t just take my word for it! Awakening blend is my favourite from all of the four body oils of their I currently have, and I have a feeling I will always want to have it in my life. It is a grounding and cleansing blend which provides the perfect ritual enhancing accompaniment to Meditation, Reiki, and all subtle energy and mindfulness practices. Formulated with Frankincense, Rosewood & Rose Otto oils, renowned for their ability to enhance spiritual connection, clear the mind, encourage deep breathing and bring about deep relaxation. Umm, I have to be really honest here – I am not someone who meditates (can’t master this thing no matter how much I try), so I simply used this as a body oil. I have to tell you it smells DIVINE! I wish blogs and social media would have a scratch-and-sniff feature, because I would love to be able to translate that gorgeous smell that got me addicted at a first sniff! It is not strong, mind you, and you can feel it is all natural, scented with essential oils only, no nasties whatsoever. But it subtly lingers on your skin for a good couple of hours, and it sort of cocoons you into this blissful state of mind without you having to do anything. So I really can second it would be beneficial in aiding you into reaching meditative state. If you do use it for that, here’s how you do it – place between 6-10 drops of oil into the palm of hands and gently rub together to release the aroma. Cup hands in front of face and inhale deeply for a few seconds. Gently massage the oil into chest, arms, shoulders, neck etc as desired. For use on-the-go, simply dab a couple of drops onto wrists, temples and other pulse points when you need a little extra calm and clarity. Lisa, if you are reading this, please come out with a roller oil based perfume of it, please! The oil is nice and lightweight, perfectly formulated if you ask me – sinks in quickly, leaving you with no greasiness on your skin (no clothes were ruined in the process of testing this) but it leaves your skin nice and moisturized for hours if not days! After going through it like there is no tomorrow, I couldn’t stop thinking about it (despite having plenty of other body oils) – and went on to purchase it with my own money. If that’s not an indication of how good the product is, then I don’t know what is 🙂 I wish social media and blogs would have a scratch and sniff feature, so I could share this dreamy scent with you. I got plenty of compliments on it. Vitality is my second favourite due to the uplifting scent of of May Chang, Petitgrain and Neroli to revive and energise the body and mind. Perfect for the morning showers, or any time of the day, really. * Organic origin † Naturally present in essential oils **Ethically traded through Indian state sponsored auctions. This product is 96% organic and 100% natural. 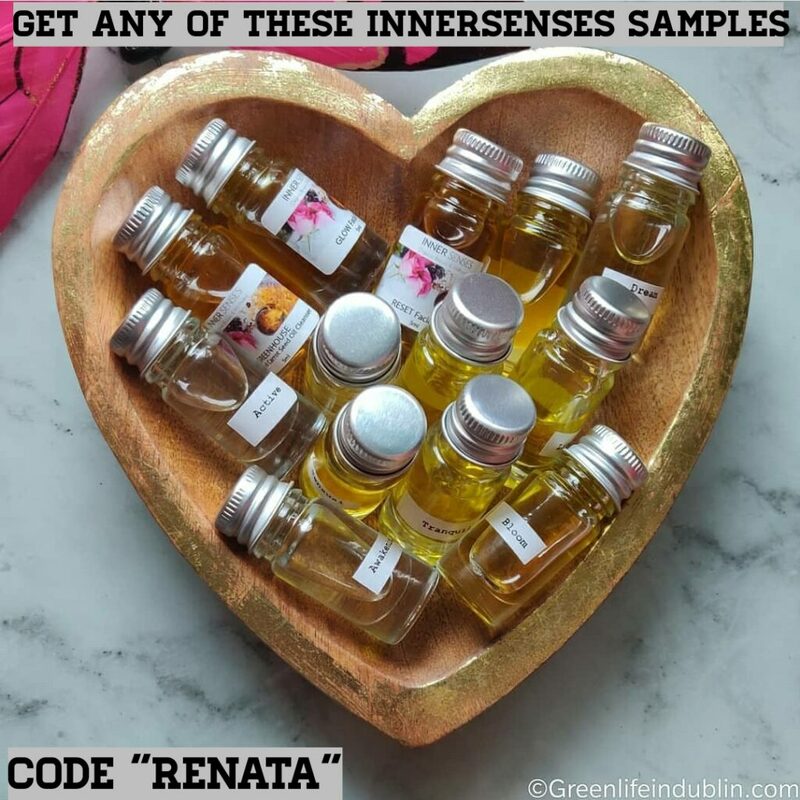 You can get the (majority of) products from Love Lula here or Inner Senses website here – please feel free to use my code RENATA15 to save a whopping 15% off your order (see update below) – talk about best kind of deal for every day, not only Black Friday, huh? Psst, I will tell you one little secret that you might want to know – you won’t find it on the website, but Lisa also offers bespoke blending service AND personalised labels too! You will not only get a product suited to your skin needs, but you can also get your name printed on the bottle – how cool is that? So that’s all for now. 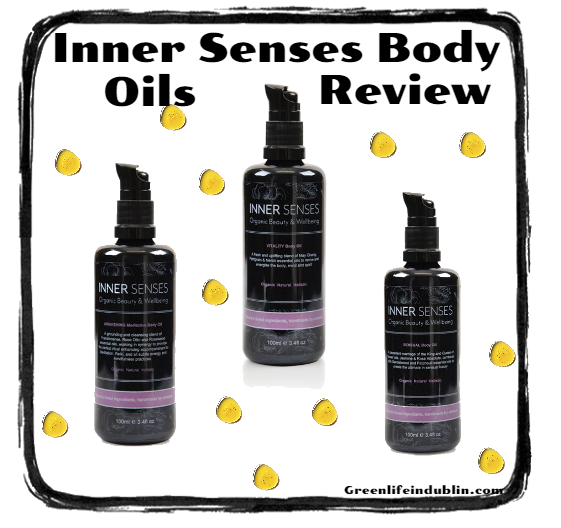 Have You tried any of the Inner Senses products and what are your thoughts on them? * UPDATE – my ambassador code has been changed to “Renata” and from now on it will give you deluxe sized samples with any full sized order from the brand. You can choose any 5ml face oil or 10ml body oil, which are valued at 3.25£ to 10£ and will last you 7-14 days. 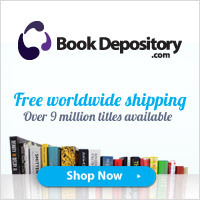 Use code at the checkout and enjoy! 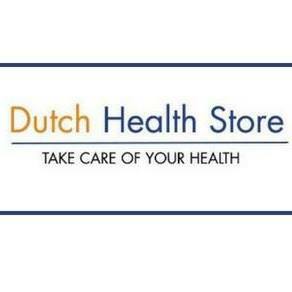 Come to think of it, it gives you better value for money than previous 15% off discount. You can join the rewards program too. Subscribe & share this or any of my blog posts on social media – it helps to get the green beauty word out – and for that I Thank You! 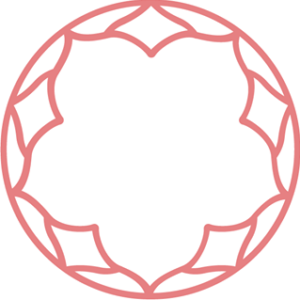 Full disclosure – I am affiliated with Love Lula, and an ambassador for Inner Senses. I always maintained a full transparency of everything. I worked hard for nearly a decade before introducing any kind of monetisation, which proves I am not in it for the money – but to be of service to you guys! If you will decide to use my links, you will have my gratitude for forever – and they are at no additional cost to you as a buyer, of course. Products featured include my own purchases, PR directly from the brand and Love Lula, which carries a better part of the range. Many thanks, I will pass on this one, but please feel free to keep me in the loop in the case of any more brush releases.